Advances in technology have introduced an exciting and effective way to treat the common complaint of a double chin in adults, as an alternative to liposuction surgery. Double chin reducing injections have been used extensively around the world for several years and are now available in Perth at Assure. It is the first TGA-approved non-surgical treatment that contours and improves the appearance of a double chin. When correctly administered by a qualified cosmetic nurse or doctor, this injectable double chin treatment is safe, only minimally invasive and involves very little downtime. It effectively sculpts the neckline to reduce a double chin and give a more toned and youthful facial appearance. Double chin injections are made below the chin to reduce fat and create a more contoured neck profile and jawline. The product used is deoxycholic acid, a substance that naturally occurs in the body. It breaks down fat cells and removes them through the body’s own waste systems. The treatment is customised to suit each individual patient and usually involves at least two sessions, spaced 4-6 weeks apart. The effect is long lasting, without retreatment expected. Fullness under the chin is a common issue for many adults. A recent study showed around 70% dislike their neckline profile as a result of double chin concerns, despite diet and exercise. Ageing – a reduction of muscle tone and thinning skin contribute to sagging, especially beneath the chin. Genetics – some people inherit a predisposition to fullness underneath the chin, and this can begin to show at a young age. Ageing can worsen this. Weight – weight gain can be a common factor for people with a double chin. 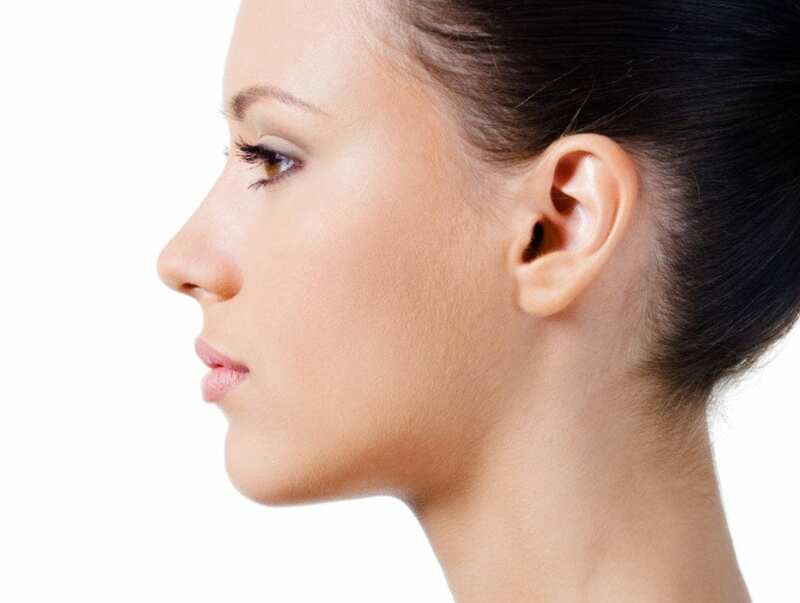 Even a moderate gain may result in more noticeable fullness under the chin. Double chin fat-dissolving injections are suitable for any adult with excess fat deposits under the chin. In patients with an excessive amount of loose skin, the treatment may not be suitable and other options may be considered. To find out if double chin reduction injections can help you, the first step is to book a free consultation with our cosmetic nurse. How many double chin injection treatments will I need? Double chin reduction injections involve a series of two treatment sessions, spaced at least 4-6 weeks apart. In some cases, additional treatments may be required where the patient has more significant double chin concerns or to achieve the desired result. Depending on your individual needs, our cosmetic nurse will recommend a treatment plan to achieve your desired outcome. Results become visible in some patients within 3-4 weeks after their first double chin injection treatment, while others may see results after the second session. What is involved in double chin reduction injections? Firstly, an Assure cosmetic nurse will assess your neckline and discuss your personal treatment goals to determine the number of treatment sessions that will be required. They will discuss pricing, what’s involved and the timeline for your treatment. Topical numbing cream is applied to the area to be treated and a very small needle is used to inject small quantities of the product into the skin. Injections are made following a specially-designed grid pattern that is marked out under the chin. The procedure takes as little as 15-20 minutes. How do double chin fat dissolving injections work? The product we use for our double chin reduction injections is produced by leading global pharmaceutical company, Allergan. It is the first TGA-approved non-surgical treatment that contours and improves the appearance of a double chin. The product contains a synthetic version of deoxycholic acid, which imitates deoxycholic acid that naturally occurs in the body. When injected under the chin, it works by a process called adipocytolysis, which destroys the entire fat cell by breaking down the cell wall. The fat is then transferred by the blood stream into the liver where it gets excreted out of the body. The product has been used on thousands of patients overseas before being launched into Australia. What do double chin fat dissolving injections feel like? Double chin reduction injections are well tolerated by most patients. Topical numbing cream is applied to the area and ice can also be applied immediately prior to treatment to help reduce discomfort and help to prevent bruising. How safe are Perth double chin injections? For optimum and safe results, it is important that double chin dissolving injections are administered by a fully-trained cosmetic professional. 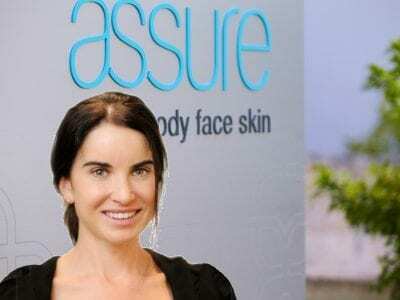 At Assure Cosmetic Centre, all injectable treatments are conducted by our highly experienced cosmetic nurses under the supervision of our team of Specialist Plastic Surgeons. The most common side effect is swelling. Some mild bruising may occasionally occur at the site of injection. An over-the-counter pain relief such as Panadol can be used to manage any discomfort. These effects are temporary and mostly resolve within a week. Your nurse will discuss this with you during your consultation. Is there any downtime from having double chin injections? While there is no significant downtime, some people may like to take a few days off work due to the expected swelling in the treated area. How much do double chin reduction injections in Perth cost? Your initial consultation with our cosmetic nurse is completely free of charge and without obligation. If you decide to go ahead, a double chin reduction treatment package costs $2,400, which includes two treatments with two vials used per treatment. In some cases, where more product is required, an added charge will apply. If three or more treatment sessions are required, these will be charged at a discounted rate for each session. For those not wanting to pay the package price upfront, we offer a pay-as-you-go option of $1,400 per session for two vials. The charge for your treatment will be advised to you during your consultation and discussed before you go ahead. Contact us for further details or to book your free consultation for double chin reduction treatment. Your best starting point is to book a free consultation with one of our experienced cosmetic nurses at Assure Cosmetic Centre. You will have the opportunity to discuss your concerns and ask questions. You will be provided with detailed information regarding how this treatment can help you, the expected outcomes, and the costs involved. Click here to make an appointment.